I love this poem by Sir Walter Scott and the story it tells. 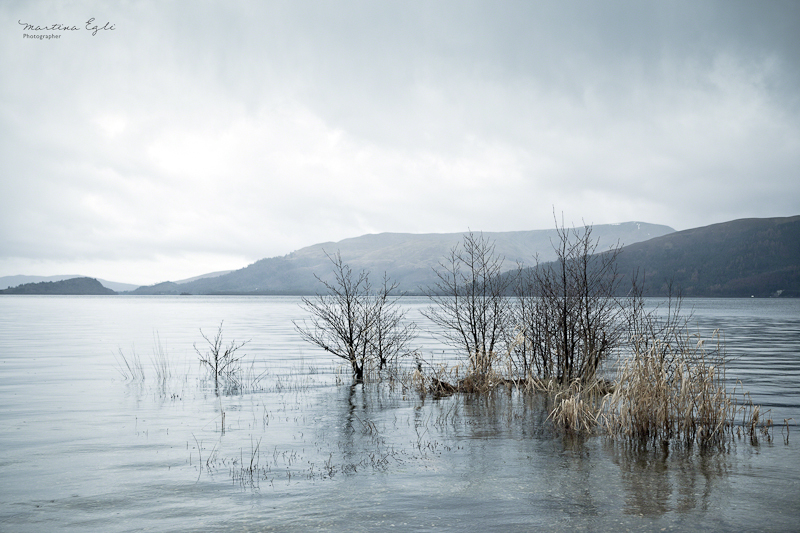 Your beautiful photo of Loch Lomond certainly suits it well. Wonderful composition and use of the shallow growth in the foreground. I’ve been to Scotland but have not visited Loch Lomond or Loch Katrine, the original setting of this poem. But I see they are located in the same general region. Well done and very pleasing! Dreamlike…great tones and contrasts. Would love to go there someday! A magical composition. I really love how the subtle color of the water weeds stand out so much against the gray-ish landscape. This makes me want to go to Scotland again. Là aussi, une ambiance calme et agréable. What a wonderful place, and the cool blue tones really makes this image whole. crisp and well framed 🙂 an eye soothing piece of work, mode and mood right on.